An understanding of both IP law and modern business strategy is key to maximising the IP of any business. An understanding of both IP law and modern business strategy is key to maximising the IP of any business. 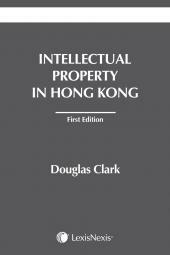 In Intellectual Property for Business, the vital principles of IP law are explained clearly and comprehensively so that the reader has a thorough reference of the law and appreciates the intersections between legal and business matters. 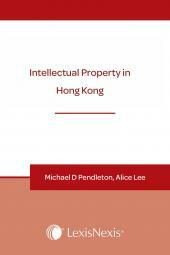 Aiming to give readers the knowledge to understand when and when not to pursue IP rights, and how to maximize the use of these rights once they are obtained. IP and business should work closely together as IP protects assets that help a company become successful, in turn as a company progresses, so does the value of its IP. The connection between business strategy and IP is explored. 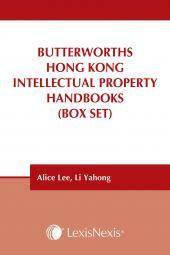 Intellectual Property for Business to make IP law accessible to all levels of readership and the text is kept fresh and interactive with reader-friendly commentary, modern illustrations, examples of companies in conflict and numerous exercises to demonstrate the practicality of the subject matter. Ronald Yu is currently a director and GC for Gilkron Limited. He started in Information Technology before obtaining his JD and LLM degrees. Among other things he is a US Patent Agent, digital forensics examiner and conducts postgraduate classes on patent, intellectual property and information technology law. Mr Yu has published articles on online learning, digital forensics, intellectual property, information technology and constitutional law. More recently, he authored the Hong Kong chapter for the 3rd edition of the book ‘Electronic Evidence' by Stephen Mason and was the managing editor of the book ‘A Corporate Journey to the West’. Mr Yu also lectures on Intellectual Property Law and Information Technology and Patent Law at the University of Hong Kong and on IP Strategy at Hong Kong Polytechnic University. He is also a member of the Asia Privacy Scholars Network and a mentor to start ups in Hong Kong.